The Sportsman, Seasalter, Kent, was named the top pub for food in the country for the second consecutive year. The Michelin-starred pub, run by chef-patron Stephen Harris and his brother, Phil, was revealed as the UK’s top gastropub by celebrity chef Tom Kerridge at an exclusive awards ceremony held at Hermitage Road Bar & Kitchen, Hitchin, Hertfordshire this week. James and Kate Mackenzie’s Michelin-starred East Yorkshire pub the Pipe & Glass Inn, at South Dalton, near Beverley, rose from third to second place this year, with Andrew Pern’s iconic North Yorkshire pub the Star Inn, at Harome, North Yorkshire, rising from fifth place to third. Kerridge’s second pub the Coach, at Marlow, Buckinghamshire, which opened in late 2014, was named as highest new entry in fourth place, in a category sponsored by Appletiser and Schweppes. The Freemasons’ second consecutive sixth place finish was the highest placing for any establishments in the North West. There were a total of 17 new entries on the list this year, including two pubs in Hackney, east London, the Marksman and the Empress. A range of specialist category winners were also announced and included John Calton, chef-patron of the Staith House, North Shields, Tyne & Wear, who was named Gastropub Chef of the Year in a category sponsored by Nestle Chef. The Kentish Hare in Bidborough, Kent, run by celebrity chef brothers Chris and James Tanner, won the Newcomer of the Year title. The Port Gaverne Hotel, Port Isaac, Cornwall, the St Tudy Inn, Bodmin, Cornwall, and the Grantley Arms, Wonersh, Surrey, were also named as Ones to Watch. Steven Smith, Chef Owner at The Freemasons at Wiswell, said; “To be in the top 10 with some of the finest establishments in the country for the second successive year is a real honour and we’re delighted to represent the North West. You can see the full list at the new Top 50 Gastropubs website www.top50gastropubs.com. 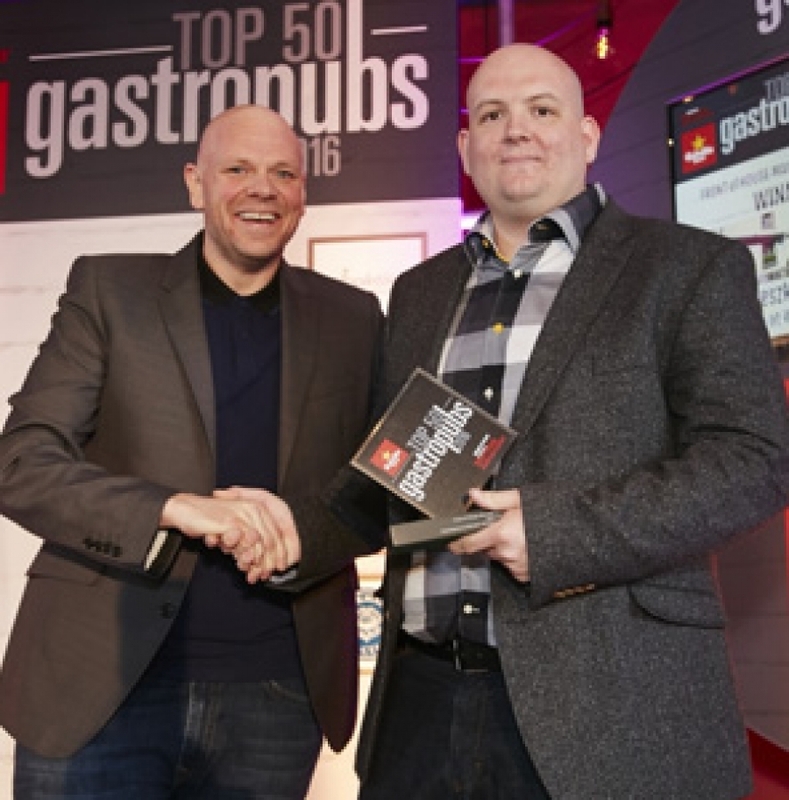 You can follow the event on Twitter, Facebook or Instagram via the handle Top50Gastropubs.